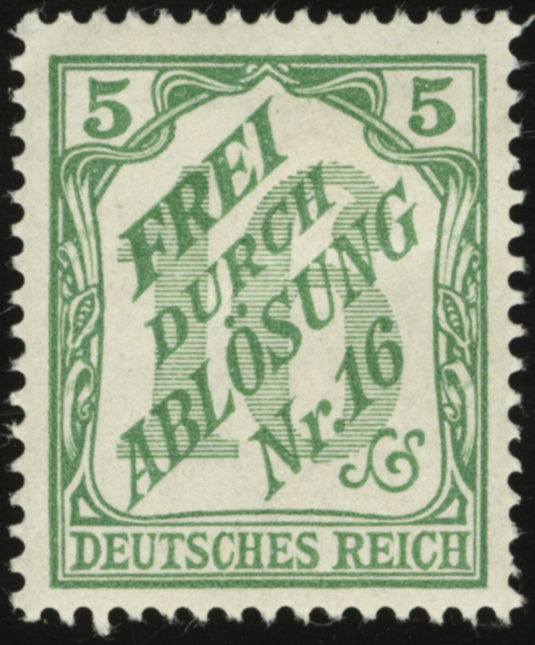 In 1905, this set of official counting stamps was issued for use in Baden. 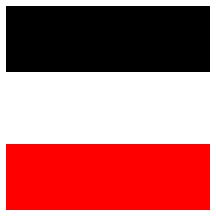 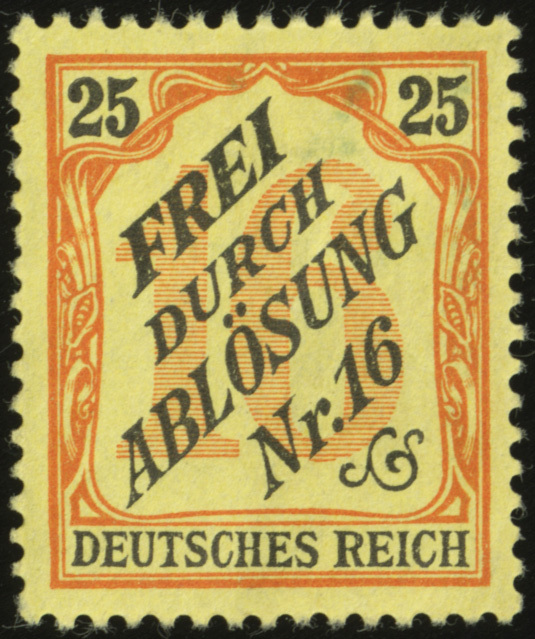 The text is “Frei durch Ablösung Nr. 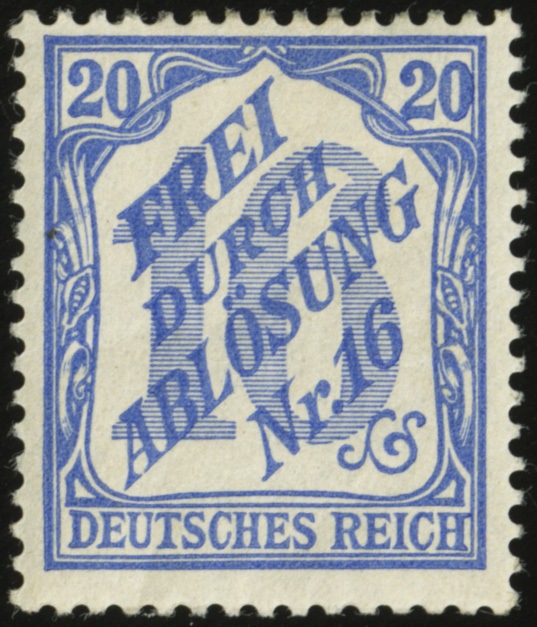 16” (“Free by means of franking privilege Nr. 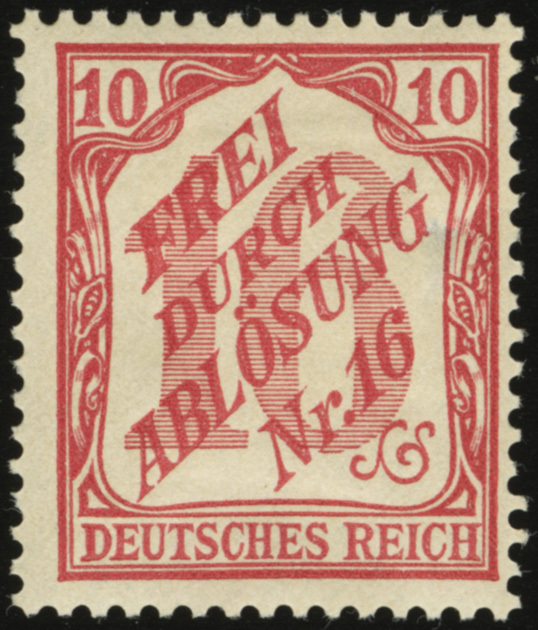 16”). 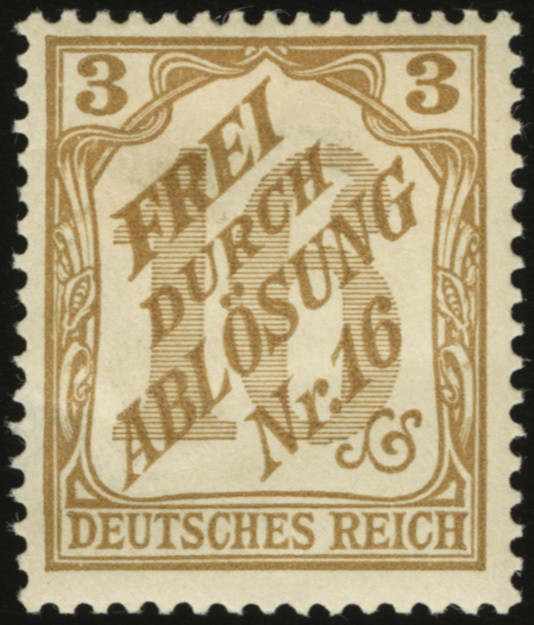 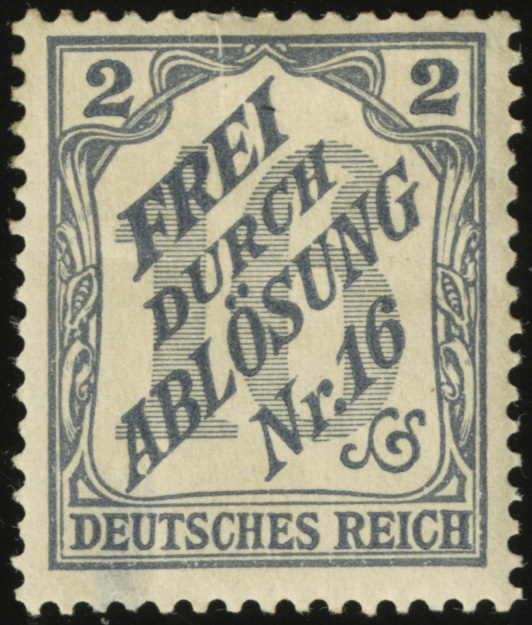 The frame of the stamps is that of the Germania series.